Category: Body Armor. Tag: body armor. 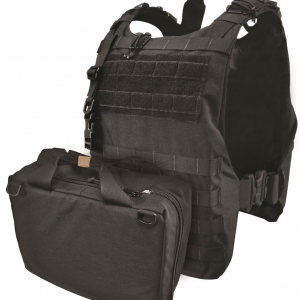 On the outside, ELSA appears to be an ordinary soft briefcase, but with one swift action of a YKK zipper, ELSA quickly transforms into fully functional, armored plate carrier. ELSA can be deployed and secured within seconds, instantly creating a safe barrier between you and any potential threats. Elsa will accept and adjust to industry standard sized hard plates or soft armor inserts. Manufactured from highly durable 1000 D Cordura and the latest ITW Ghillie Tex hardware, ELSA is tough and ready for the task at hand. 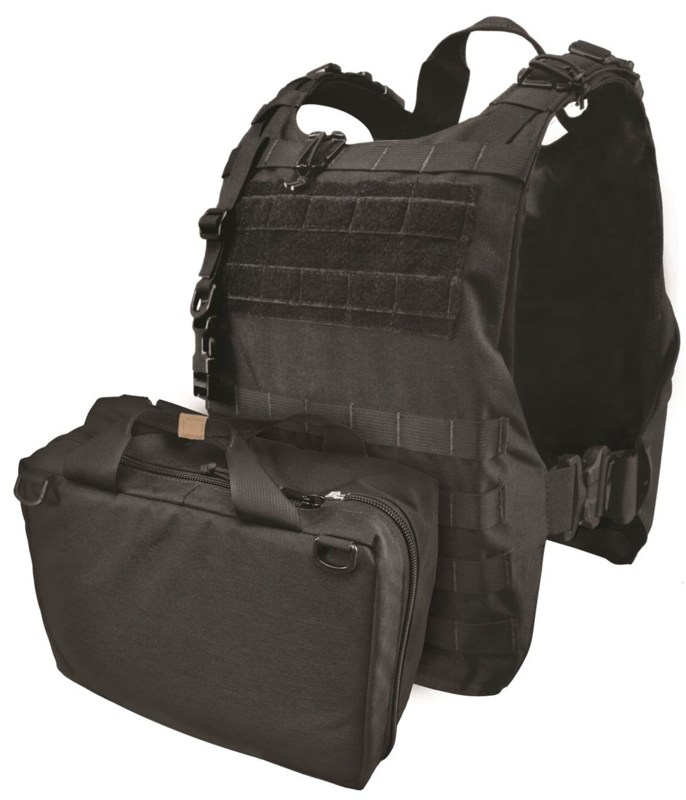 ELSA’s unique design features full front MOLLE panel and three rows on the top back, allows the user to prearrange internal items in any configuration they deem necessary. With ELSA, you can be fully prepared to spring into action quickly, efficiently, and with confidence. Note: Please allow 4-6 weeks for shipping; standard UPS Ground rates apply. Your satisfaction is extremely important to us. Being that MI products are made in the United States, we take great pride in our craftsmanship. If you have experienced a manufacturing defect, we will accept the defective, unaltered product within 10 days of purchase and provide a full refund if desired. Our exchange policy does not apply to damage caused by improper use, accident or abuse. But remember, MI offered products are tough! As we stated, your satisfaction is important to us. Please contact us via e-mail with a brief description of your concern with the product and we will do our best to ensure your satisfaction. Martinson Industries, LLC is a US veteran-owned company. © 2015 Martinson Industries, LLC. All rights reserved.